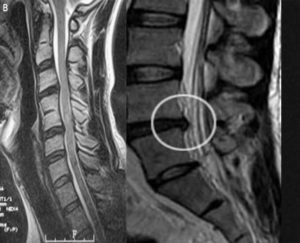 Radiculopathy refers to symptoms resulting from compression or irritation of the spinal nerve root at its point of connection to the spinal column. This injury can also be referred to as a pinched nerve. Radiculopathy can strike any part of the spine, but it is most common in the lower back (lumbar) and the neck (cervical). In radiculopathy, the nerve root alongside the spine is the site of the injury, but the symptoms may manifest in a completely separate location, such as the forearm. The term “radiculopathy” focuses on the nerve root since “radix” means “root.” Polyradiculopathy refers to the condition where more than one spinal nerve root is affected. What Are the Cervical Radiculopathy Treatments? If symptoms do not improve and remain severe after conservative non-operative measures, Dr. Singh may recommend cervical radiculopathy surgery as an option for treatment. The goal of the surgery is to remove compression (pinching) of the affected nerve. There are typically three surgical procedures used for treating cervical radiculopathy.